Bored of your shoe collection? Need some inspiration? Give your closet a modern twist with these Jeannot heels. The luxury Italian brand combines finely-honed craftsmanship skills with a contemporary approach to design. The result is wearable, bold shoes which add a hit of energy to every outfit. 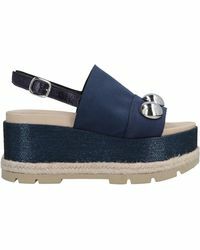 Expect strappy, jewel-embellished sandals, block and wedge-heeled moccasins, directional courts and glossy lace-ups.